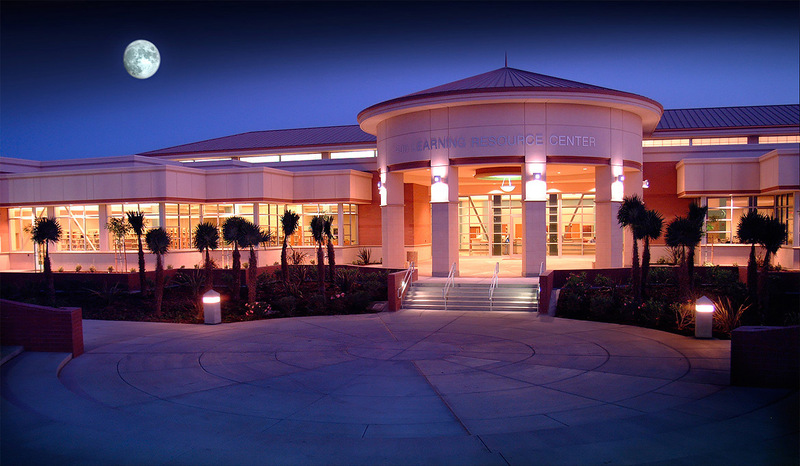 The West Hills College Learning Resource Center was completed in 2002 for the West Hills Community College District. The project is a relocation of an existing Community College from a 20-acre land locked site to a new site of 108 acres. The area growth and demand for access to education has forced the College District to explore alternatives to the current Educational Program and delivery methods. 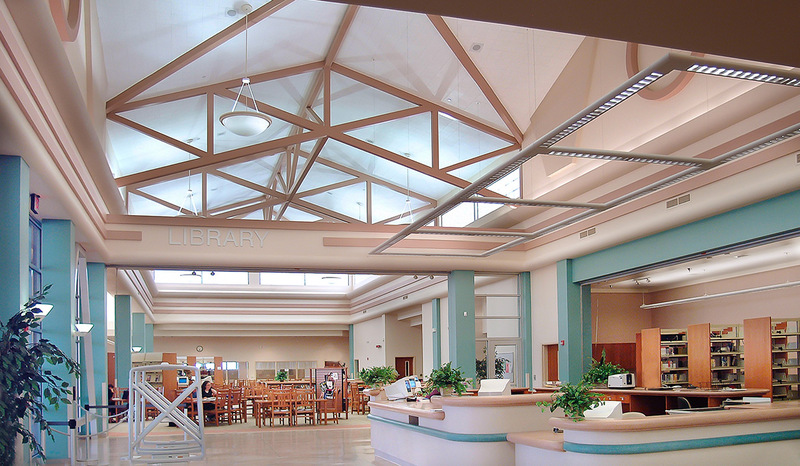 Our firm has worked with the district for the last 5 years in developing a facility plan that is in harmony with the educational needs/delivery methods of the area as well as allowing for growth and changes. The Library is the engine that drives technology that they are currently using and technologies that have not been invented as of yet. The initial buildings include classroom, laboratory and support spaces as well as the library. New buildings will come on line at about 1 every 2 years until such time this facility is built out. Funding has come from local bond election of $11,750,000, State funding of $19,500,000 and private and public partners of $5,600,000 for a total initial buildings project cost of $36,850,000. The level of learning achieved in the facility by students, individuals, student collaborative learning and staff development will make this facility a leader in community college technology centers. No longer will this just be a library, but a community center for dissemination of information and learning. The Site is over a hundred acres in Central California known for its hot summers and mild winters. The site was designed to allow for phased construction. The curved access roads will be accented with each building pad raised 5 feet with garden-like atmosphere with spaces for people. No internal roads will allow vehicular traffic during occupancy hours. The perimeter of the site will be landscaped with mounds 4 to 5 feet high allowing a clear view of the buildings and partially blocking the view of vehicles and parking areas. The floor plan reflects the usage of the spaces. Since technology is changing so fast, program flexibility is a necessity. Staffing of a facility is important in the operations cost. The least amount of staff needed to operate a facility is the goal with dwindling fiscal budgets. The control/circulation desk is designed to be dual purpose and be the hub of control, reference and information. Either side may be closed and operated independently.